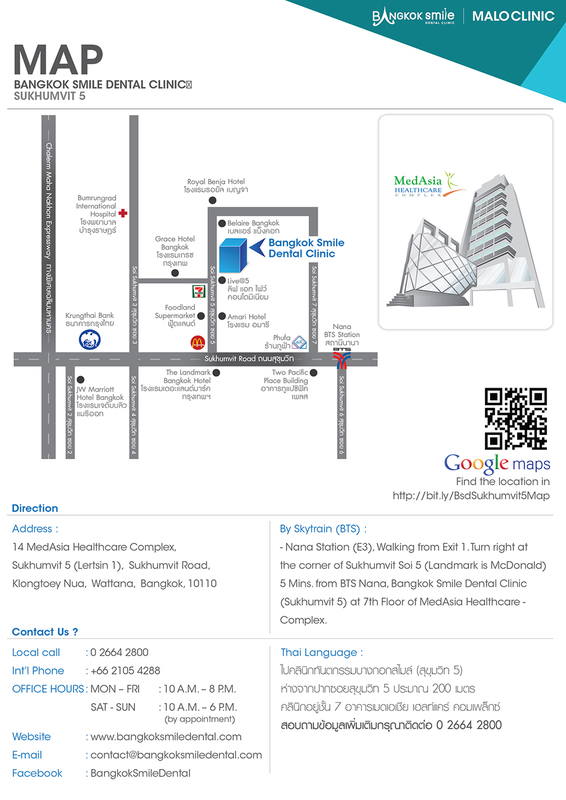 Dental Clinic in Bangkok by Smile Dental Clinic in Thailand. 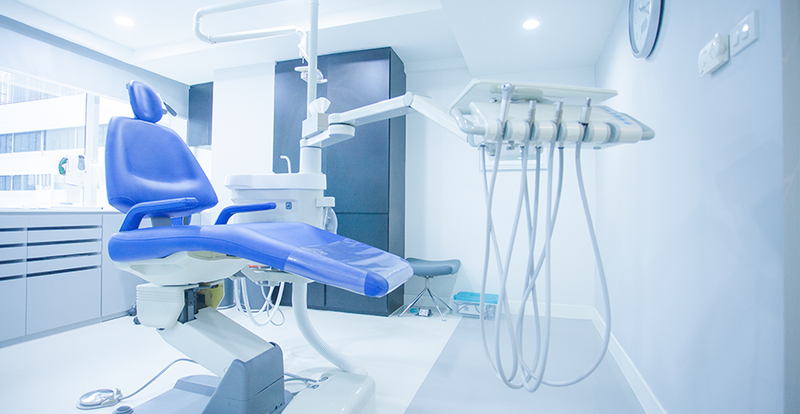 As a pioneer in international standards, we have been in operation since 2003 serving international patients who visit Bangkok and the number of our clinics have been growing with thousands of patients who visit us every month for variety of dental procedures such as general dentistry, implant dentistry, cosmetic dentistry such as smile makeover with porcelain veneers or clear aligners such as Invisalign. 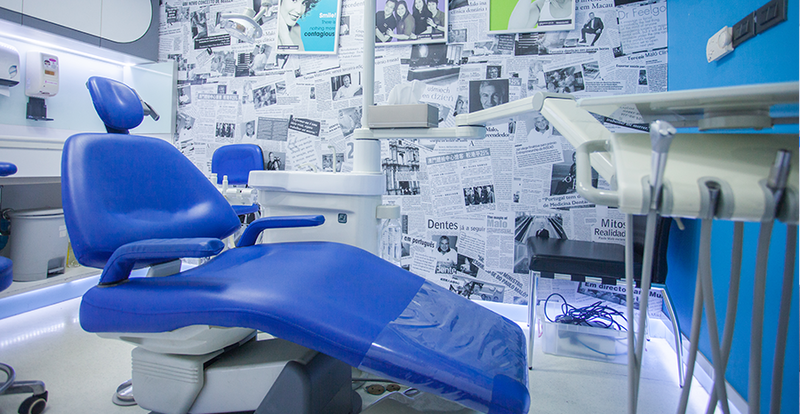 We are delighted to welcome you as a patient in any of our 5 dental branches in Bangkok or 3 dental branches in Phuket to help restore your dental health to optimum as we are committed to highest professional standards of excellence. 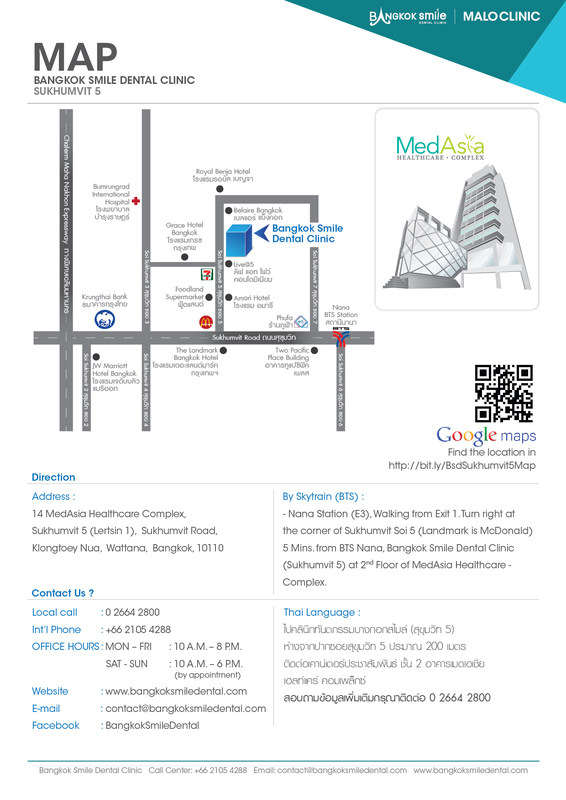 Bangkok Smile Dental ISO9001, Both Dental Clinic and Lab. 1 Stop Dental Services. 60 Dentists. or if you are driving, parking is available for patients. 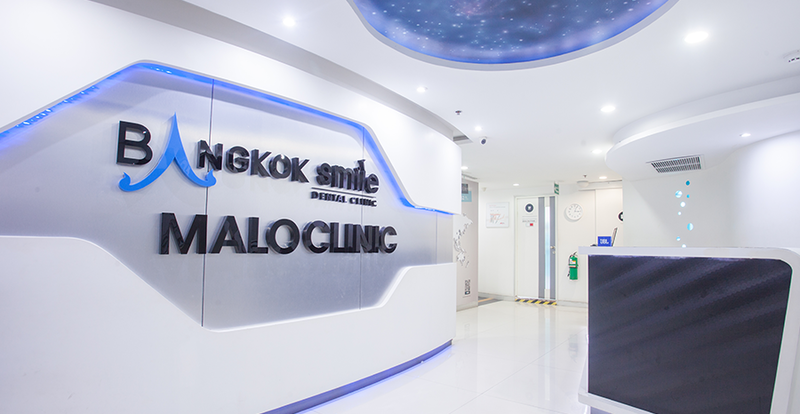 The Bangkok Smile MALO CLINIC flagship center is located near tens of hotels including BelAire Bangkok/Fortuna Hotel/Jomtien Palm Beach Hotel/Holiday Inn Express/Aloft Bangkok/JW Mariott Bangkok/Grace Hotel/Salil Hotel/Ambassador Hotel. There are also hundreds of places to dine from Food Street to mom and pop restaurants to Michelin and Cordon Bleu five star dining.